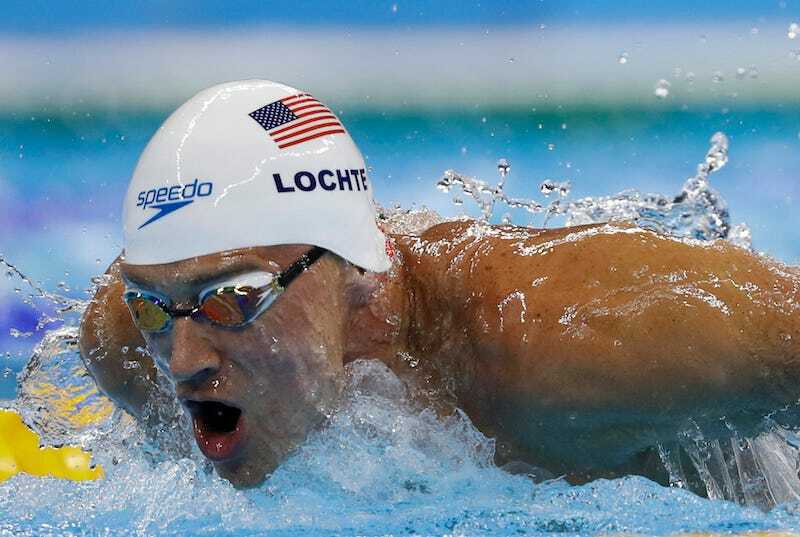 American swimmers Ryan Lochte, Gunnar Bentz, James Feigen, and Jack Conger peed on the Barra da Tijuca gas station in defiance after being told to use the bathroom, according to the gas station owner who spoke with O Globo. The report, written in Portuguese, says that the group of swimmers were asked to use the bathroom at the gas station, but instead allegedly pissed on the wall. There’s a mention of an image of one of their butts, though it isn’t clear if that’s a mental image from one of the attendants, or a literal image. (If you know anything about that part, drop a line at tips@deadspin.com.) One of them allegedly tore down an “advertising board,” too. It isn’t clear if a specific number of the four swimmers were vandalizing the gas station with their pee, or if it was all of them. We’ll update if we get any more details. Update (12:41 p.m.): Here’s a snippet of security camera footage, via Globo.